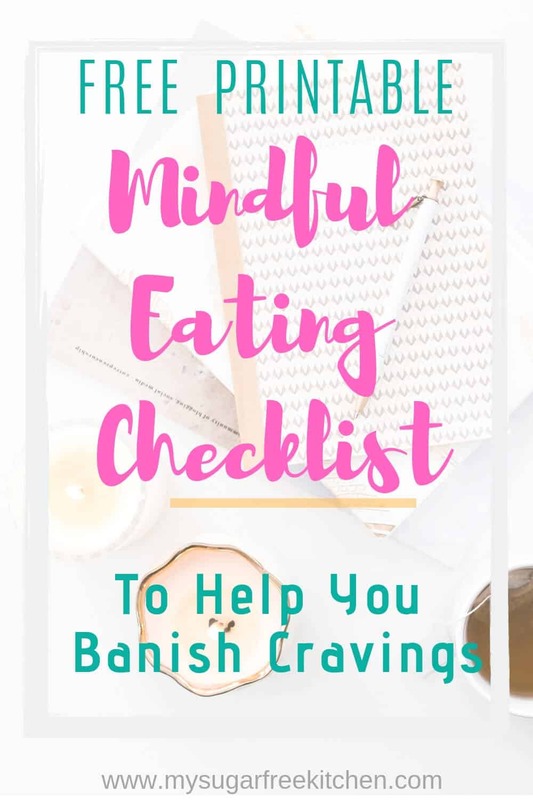 What if you had the perfect Mindful Eating Checklist to help feel more connected with your food, keep cravings at bay, eat healthier, and loose a little weight in the process? Now it might seem a bit weird needing a checklist to help you eat, but eating is serious business. It can affect your health, it impacts your mood, your weight, how much energy you have or don’t have, and even what type of illnesses you may encounter. Here’s the thing though. Mindful eating is not a thing that comes naturally to everyone, nor is it a talent that people are born with. Over the years, I’ve come to realise that Mindful eating is a skill that must be learned and practiced for you become good at it. Just like anything really. 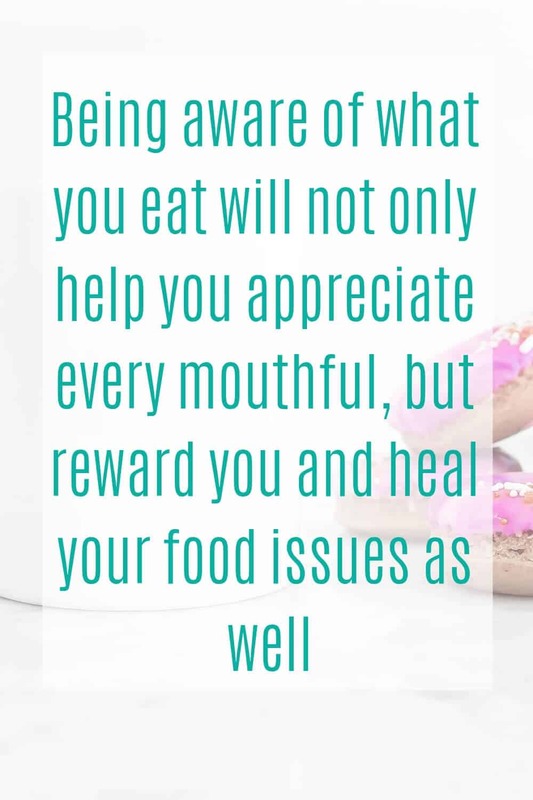 Mindful eating is about consciously increasing your awareness of what you eat every time you put something in your mouth. It’s about focusing on the present moment, instead of being distracted by scrolling through your phone looking at Facebook and not even acknowledging what you’re eating. We’ve all done it at some point. Eating on autopilot is an easy trap to fall into. The busyness of life and hectic work schedules are often to blame for why we find it so darn had to slow down and just be in the present moment when we eat our food. 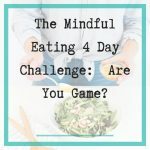 The solution is a mental Mindful Eating Checklist that you can run through each time you sit down to eat your breakfast, lunch and dinner. Related: The Emotional Eating Test – Are You Really Hungry or Just Emotional? Have a glass of water first to hydrate and line the stomach. 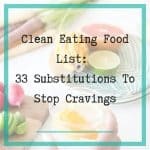 This can also help you to eat less and fill you up quicker. Acknowledge why you want to eat. Because you’re hungry, because it’s time, because you’re feeling bored, stressed, sad, or just generally emotional? Put your food on a nice plate or into a nice bowl. Grab your knife and fork. Remove distractions. Put your phone in another room or leave it elsewhere if you don’t have the willpower to not look at it while you eat. Give gratitude and thanks for the food you have decided to eat. Look at your food. What do you see. What colours, shapes and textures make up your meal. How does looking at the food make you feel? Excited? Grateful? Anxious? or Blah? How does your food smell? Sweet, spicy, earthy, or no smell at all? Notice what is happening to your body as you look at and smell your food. Is your hunger increasing, is your mouth starting to water, are you indifferent to it? 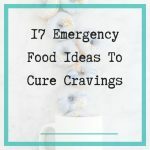 Begin by eating slowly, taking small bites, thoroughly chewing your food. Put your knife and fork or spoon down between bites. If you’re eating a sandwich, put it down between bites. After each 3 or 4 bites, take in a deep breath. How does your food taste? Sweet, salty, bitter, exciting, boring, greasy, healthy? How does the food feel in your mouth? Soft, papery, slippery, crunchy, crispy, grainy, crumbly? Do you feel like another helping? Or are you satisfied with what was on your plate? If you’re still hungry, wait 20 minutes before eating again (including dessert) so your brain has time to catch up with your stomach to work out that you’re actually full. Mindful eating is not only healthy for our body, but healthy for our mind as well. Being more aware of what you’re eating can make your eating experience a whole lot more enjoyable. Sure, you’ve probably heard that food is fuel, and that is that, but the food you eat everyday can be so much more than that. It can be a complete sensory experience that makes you come alive. No fancy restaurants, or high end degustation menus needed. It’s all within your reach in your very own kitchen. You just need to make the choice whether you want mindful eating to become part of your life.